Add some colour and personalise your SureFeed Microchip Feeder with this colourful range. Mats help keep your feeder clean by catching food and muddy paws. Easy to wipe clean. 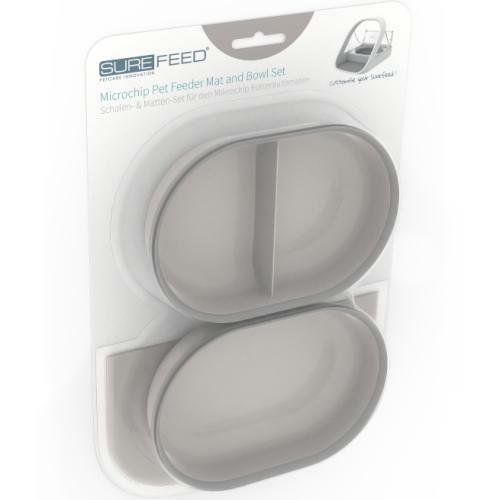 Each bowl features an integrated seal on the top edge to help reduce odours, keep out insects and keep your pet's food fresher for longer. Easy to wash with warm water. Available in Grey, Blue, Green and Pink.